"6002 happy citizens and 3 old grouches"
The Buena Vista Downtown Historic District, Buena Vista Colored School, Cedar Hill, Glen Maury, Old Courthouse, Southern Seminary Main Building, and W.N. Seay House are listed on the National Register of Historic Places. Founded by Benjamin C. Moomaw in the late 1800s, the town consisted only of a simple tannery at the intersection of two railroads and a canal. The Richmond and Alleghany Railroad and the Shenandoah Valley Railroad, stood alongside the James River Canal that had been used to transport materials from the Atlantic ports of Virginia to Lexington since the 18th century, but by the founding of the city had been converted for the distribution of water power. After opening the tannery, Moomaw opened a pulp mill and a canning factory. In 1882 Appold & Sons Tannery opened, and the first public school opened in 1885. In 1893, the town was described as "one of the many new towns that seem to have sprung up as if by magic in some parts of Virginia." Previous to 1889 none of the 600 dwellings, churches, stores, hotels and other buildings in the town had been built "but where are streets and all that goes to make a booming city the reapers that year gathered a luxuriant crop of wheat." In December 1888, Moomaw wrote the Buena Vista Prospectus to organize a town and began selling stock. "It took only 30 days for all the stock to be sold for a total of $400,000. With the sale completed, it was time to lay out the town and begin recruiting people and industries." On February 22, 1889, a large deposit of iron ore was reportedly discovered that resulted in a boom of economic activity that lasted until March 4, 1892. In just those three years the community grew extensively, adding a new brick school house, an opera house, two churches, a luxury hotel, a new Masonic Lodge (Buena Vista Lodge No. 186), a paper and pulp mill, a saddle factory, a cashmere mill, two brick and clay works, a wagon works, two banks, an egg crate factory, an electric light plant, a furniture and chair factory, a boiler factory, an iron furnace and steel factory, a glass foundry, and several wood and lumber establishments. Buena Vista is situated on the east side of the Maury River at the western foot of the Blue Ridge Mountains. The Maury has a history of destructive floods damaging nearby communities. Particularly notable were floods on Oct 12, 1870, on the death of Robert E. Lee, when the Maury River provided Lee a temporary coffin due to a dock washed away up river (source: Library Virginia Military Institute), and in 1936, 1969, 1985 and 1995. The Flood of '69 was the result of rainfall from the inland movement of Hurricane Camille. The Flood of '85 resulted from the convergence of three systems, including Hurricane Juan, which dumped tremendous amounts of rain on western Virginia. The flood of record for the lower Maury River (downstream of the confluence with the South River), including Buena Vista and Glasgow, occurred on August 20, 1969, at a stage of 31.23 feet (9.52 m) on the Buena Vista gauge. (Flooding begins at 17.0 feet (5.2 m) and major flooding at 21.0 feet (6.4 m).) The downtowns of Buena Vista and Glasgow were submerged in over 5 feet (1.5 m) of water. The upper Maury River including Lexington saw its flood of record during the Flood of 1985 when the gauging station at Rockbridge Baths recorded a value of 19.19 feet (5.85 m) from flood marks. The difference in flooding results from differing contributions of the South River depending on rainfall in the respective watersheds. The James C. Olin Flood Control Project was completed in 1997 to reduce the potential for damage from flooding of the Maury River and inland streams in Buena Vista. Buena Vista is located at 37°43′55″N 79°21′11″W﻿ / ﻿37.73194°N 79.35306°W﻿ / 37.73194; -79.35306 (37.732184, -79.353325). It is surrounded by, but separate from, Rockbridge County. The Maury River forms part of the western boundary of Buena Vista, with the city limits crossing the river in one area to encompass Glen Maury Park on the west side. U.S. Route 60 passes through the north side of Buena Vista, leading northwest 6 miles (10 km) to Lexington and east across the Blue Ridge Mountains 26 miles (42 km) to Amherst. US 60 intersects Interstate 81 3.5 miles (5.6 km) west of Buena Vista. U.S. Route 501 has its northern terminus in the city and leads south 38 miles (61 km) to Lynchburg, passing through the James River gorge. According to the United States Census Bureau, the city has a total area of 6.8 square miles (17.6 km2), of which 6.7 square miles (17.4 km2) is land and 0.1 square miles (0.2 km2), or 1.27%, is water. As of the census of 2000, there were 6,349 people, 2,547 households, and 1,749 families residing in the city. The population density was 929.5 people per square mile (358.9/km2). There were 2,716 housing units at an average density of 397.6 per square mile (153.5/km2). The racial makeup of the city was 93.56% White, 4.80% Black or African American, 0.30% Native American, 0.43% Asian, 0.02% Pacific Islander, 0.08% from other races, and 0.82% from two or more races. 1.01% of the population were Hispanic or Latino of any race. There were 2,547 households out of which 30.0% had children under the age of 18 living with them, 49.5% were married couples living together, 14.3% had a female householder with no husband present, and 31.3% were non-families. 27.6% of all households were made up of individuals and 13.5% had someone living alone who was 65 years of age or older. The average household size was 2.38 and the average family size was 2.87. In the city, the population was spread out with 22.5% under the age of 18, 10.6% from 18 to 24, 26.0% from 25 to 44, 24.6% from 45 to 64, and 16.3% who were 65 years of age or older. The median age was 38 years. For every 100 females, there were 86.5 males. For every 100 females age 18 and over, there were 82.3 males. The median income for a household in the city was $32,410, and the median income for a family was $39,449. Males had a median income of $28,921 versus $21,029 for females. The per capita income for the city was $16,377. About 8.2% of families and 10.4% of the population were below the poverty line, including 14.3% of those under age 18 and 10.1% of those age 65 or over. Buena Vista is home to Southern Virginia University, which had an enrollment of 1,035 full-time students in the fall of 2018. Buena Vista runs its own independent school district. Residents within the city are under Buena Vista City Public Schools (BVCPS). The school district has two elementary schools: F. W. Kling Elementary School, and Enderly Heights Elementary School. Kling resides at the north end of the city, north of Federal Route 60 on Lombardy Ave. Enderly resides at the south end of the city at the junction of Federal Route 501 and 2nd Street. The district has one middle school, called Parry McCluer Middle School. It resides in the middle of the city along Chestnut Ave. beside 23rd street. Parry McCluer High School is the district's only high school, located on 100 Bradford Road. The school district is classified as a Title 1 school division. Additionally, Buena Vista is the city of license for classic hits-formatted radio station 96.7 3WZ. Landmarks and historic sites in Buena Vista include the 1890 Buena Vista Hotel (now Main Hall at SVU), original Buena Vista Courthouse (now A.B. Modine Memorial Library), Canton Chinese Restaurant and Glen Maury Park, particularly the two-story wooden pavilion which provides 360 degree views of the surrounding landscape. The climate in this area is characterized by hot, humid summers and generally mild to cool winters. According to the Köppen Climate Classification system, Buena Vista has a humid subtropical climate, abbreviated "Cfa" on climate maps. Major League Baseball World Series champion manager Charlie Manuel of the Philadelphia Phillies was a Buena Vista resident and is a graduate of Parry McCluer High School where he was a multi-sport star. Manuel played in the Major Leagues and Japan during his playing career in the 1960s and 1970s. George Wheeler (1948-2002) was a Parry McCluer High School graduate and football player who went on to hold prominent coaching positions including defensive line coach at South Carolina State University, the University of Missouri-Columbia and the University of Arkansas; defensive line coach for the New Jersey Generals; defensive coordinator at the University of Utah; and offensive coordinator at North Carolina A&T University. ^ a b "State & County QuickFacts". United States Census Bureau. Retrieved 2014-01-05. ^ "Buena Vista endures name changes, anniversary dispute, boom and bust times | The News Leader | newsleader.com". newsleader.com. Retrieved 2014-10-16. ^ a b c d "www.buenavistavirginia.org". buenavistavirginia.org. Retrieved 2014-10-16. ^ a b c d Whitehead, T.; Virginia. Dept. of Agriculture; Virginia. Board of Agriculture (1893). 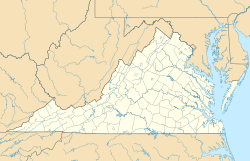 Virginia, a Hand-book: Giving Its History, Climate, and Mineral Wealth, Its Educational, Agricultural, and Industrial Advantages. Everett Waddey Company. p. 177. Retrieved 2014-10-16. ^ "Lodge History - Buena Vista Lodge No. 186". grandlodgeofvirginia.org. Retrieved 2014-10-16. ^ Field Guide to the Chessie Nature Trail. Rockbrige Area Conservation Council, 1988. ^ "Geographic Identifiers: 2010 Demographic Profile Data (G001): Buena Vista city, Virginia". U.S. Census Bureau, American Factfinder. Retrieved August 20, 2015. ^ "U.S. Decennial Census". United States Census Bureau. Archived from the original on 2015-05-12. Retrieved 2014-01-05. ^ "Historical Census Browser". University of Virginia Library. Retrieved 2014-01-05. ^ "Population of Counties by Decennial Census: 1900 to 1990". United States Census Bureau. Retrieved 2014-01-05. ^ "Census 2000 PHC-T-4. Ranking Tables for Counties: 1990 and 2000" (PDF). United States Census Bureau. Retrieved 2014-01-05. ^ "Southern Virginia University Mission and Milestones". Southern Virginia University. Retrieved February 8, 2019. ^ "Obituary: George Wheeler". archive.columbiatribune.com. Retrieved 2016-12-08. ^ Cherubini, Ron (2001). "George Wheeler: Blessed with a Lifetime of Football". Bonesville: The Authoritative Independent Voice of East Carolina. Retrieved December 8, 2016.